Are America’s neighborhoods racially diverse? 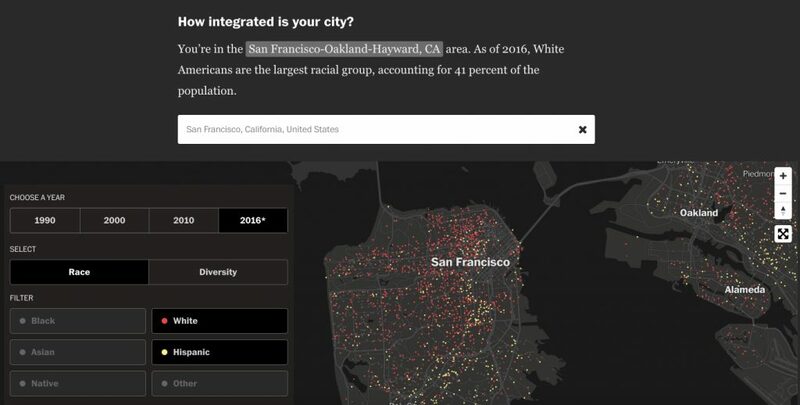 One could easily guess the answer but The Washington Post wants you to explore the state of urban segregation by yourself, as “racial minorities” are scheduled to outnumber white people by 2044. The Post used census data to map out the “spatial distribution of race” in the country, one suburb at a time. And of course, you can jump to any adress of your choice with a really clear interactive map.